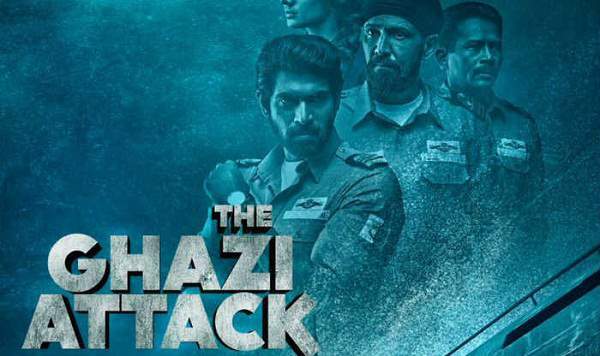 The Ghazi Attack Movie Review Rating: TGA is a Telugu film, releases February 17, 2017. It stars Rana Daggubati, Kay Kay Menon, and Atul Kulkarni in lead roles. The basic storyline is set in the year (1971) when the PNS Ghazi of Pakistan sunk mysteriously under the waters of Bay of Bengal during submarine warfare between INS Vikrant the Indian submarine, S-21, and Pakistan’s PNS Ghazi. It’s the first Indian underwater or wat-at-sea film. Amitabh Bachchan and Chiranjeevi have lent their voices for the Hindi and Telugu versions of the flick. The directorial debut of Sankalp stars Tapsee Pannu. The incident took place during the Indo-Pak war of 1971. The movie tells the story how Ghazi sank under mysterious circumstances. 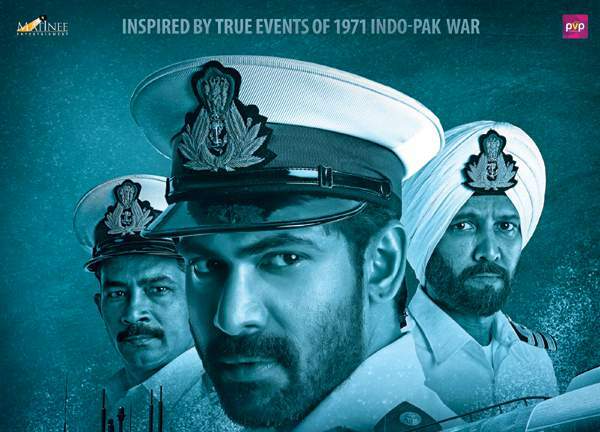 The film, Ghazi has got the perfect tagline “The War You Did Not Know About.” The officially out story reveals that PNS Ghazi sunk mysteriously while Indian and Pakistan Navy had different explanations regarding it. The talkie has included some of the verified facts as well as it combines a strategic and dramatic imagination as for how it could have happened. All the credit goes to the director. The Ghazi movie starts with a political scenario between the two neighbor nations – India and Pakistan and how it affected the decisions of the armed forces. INS Vikrant goes on a mission to stop a suspected attack on the East coast of India. 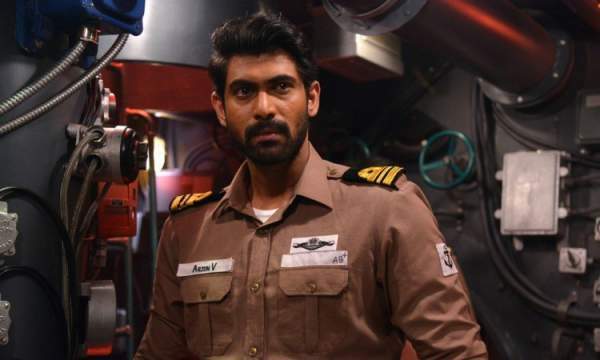 The submarine was captained by hot-headed Commander Rann Vijay Singh (Kay Kay Menon), and his aggression was balanced by adding Lieutenant Commander Arjun Varma (Rana Daggubati). Arjun was assigned to defend first and attack, only if necessary. Devaraj, RV Singh, and Arjun Varma have played their roles very well, being protagonists, in the first half. Singh has a chaotic personality but good and follows his philosophy ‘saving the nation by killing the enemy first and not by dying for it – even if it takes difficult decisions to achieve it.’ On the other hand, Arjun believes in following rules and is lawfully good. While Devaraj has a neutral and unbiased thinking. He works as the peacemaker between the two extreme ideologies. These three different philosophies help in making the first half of the movie engaging. Also, it sets the stage for the big showdown which takes place later on. The real drama starts in the second half of the The Ghazi Attack. It might feel like the movie is little dragging the scenes, but it surely adds to the suspense of what’s coming next. The film acts like a game of chess in which the oppositions try to guess each other’s move. It keeps the audience stick to their seats. It makes the viewers gasp, cheer, and swear for what the Indian Navy is shown doing on-screen. Rana Daggubati turns out to be the star of the film, but undoubtedly, Kay Kay Menon is the hero here. Menon has played his character of a stern Commander with so much excellence that you would hate his arrogance and love his ability at the same time. His look of being cold, commanding officer could penetrate the screen and is sufficient to send a chill down your spine. Rana shines in the later half, and it can be called as the best performance of his entire acting career yet. As expected, Atul Kulkarni brought life back to the character. On other antagonists’ side, Rahul Singh who has played Commander Razzaq of Pakistan has done a commendable job with his caliber. Late Om Puri, Nassar, and Taapsee didn’t have much to play. On the whole, The Ghazi Attack gives a powerful message. Cameraman Mathi, editor Sreekar Prasad VFX team, and K, the music in charge have done an outstanding job. TheReporterTimes rates it 4 out of 5 stars. The director Sankalp Reddy has made a brilliant film with his imagination and direction. The patriotism shown is neither mawkish or overblown. He has taken care of every minute detail considering his debut. A bow to the team. Ghazi has become one of its kind, and a must watch the film. It will be a milestone for the war drama genre in Indian cinema. Do share your The Ghazi Attack review after watch the movie.